Offered by various local organizations for general training or to train for your specific event. 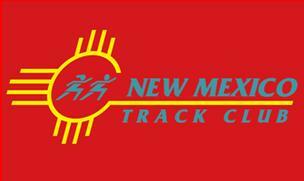 10 week program offered by Albuquerque Road Runners Club. Designed to train women to participate in their first 5K race, the Albuquerque Road Runners' Women's Distance Festival. This club is open for all track, field, fitness, running - short to ultras, adults of any fitness level. Fitness comes first with core and stability, nutrition, healthy lifestyles, and injury prevention. Running is next - regularly scheduled workouts for your level of ability and specific types of running from sprints to ultras. And a chance to work out with other runners with the same interests as you. We also help with field events such as long jump or discus. Karen Blackmore, Director (505) 217-1727. David Salazar, Coach. _Albuquerque Fit's 26-week training program is designed to get its participants in the best shape of their life, quickly and safely, with a lot of fun and support. The programs are open to all ability levels, including walkers, joggers, and experienced runners. Each member’s goals vary, from those just wanting to get into better physical shape, to those who want to run their first 5K, to marathon veterans who wish to better their overall running performance. For more information email info@usafitalbuquerque.com or view the website at www.albuquerquefit.com. For more information or to register, drop by the store or call. ICWA has created a interdisciplinary team of health and wellness professionals who place the client at the center of our care. We acknowledge and address, within our scopes of practice, the physical, mental and spiritual needs of each individual. The clients' goal thus directs the care that we provide using an evidenced based approach. ICWA's hours: Monday - Wednesday 6 am - 8 pm; Tuesday - Thursday 8 am - 8 pm; Friday 6 am - 6 pm; Saturday by appointment only; Sundays Closed. Sport Science Running & Fitness, LLC is owned by ARR member Matt Rogers, PhD, CSCS, a Sport Scientist and Certified Strength & Conditioning Specialist with 40 years of running experience in events from 800 meters to ultramarathons. Matt provides personalized training for beginners to elites, based on each person’s fitness level and goals. Programs include a thorough review of your health and running history, a goal setting discussion, unlimited communication with the coach, strength and flexibility training for injury prevention and performance improvement, visual gait analysis, nutritional advice, and race planning. Discounts are offered for ARR members. Workouts are delivered in a simple-to-use online format, and adjusted based on communications with the coach.